I have wanted to make a long sign to hang above my booths for some time. 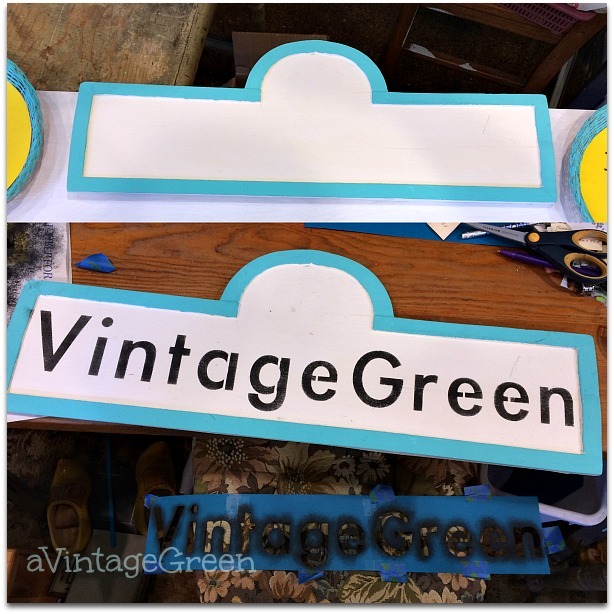 This was not a quick project but with Judy helping and inventing as she worked and me re-learning the upgrade on the Cricut software and making the VintageGreen sign ... we managed. We worked together for about 3 hours on this project. It took me about an hour of messing around getting everything to the right font, size, figuring out where the Cricut software changes had occurred, making the slices after the stencils were the right size. Ruler/pen/tape used to line up the 3 pieces to make the stencil. 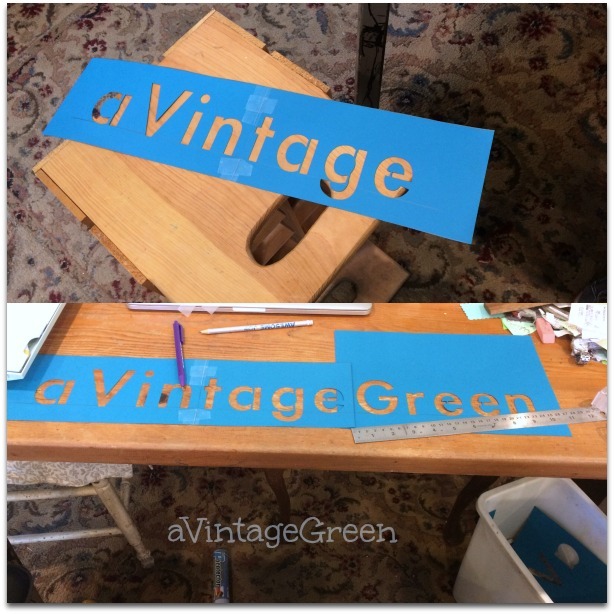 Learned more about sizing letters to fit the available space, cut off the 'a' so VintageGreen would fit. (also learned to unplug then plug in the Cricut printer and power when it refused to talk to the computer - that fixed that problem). 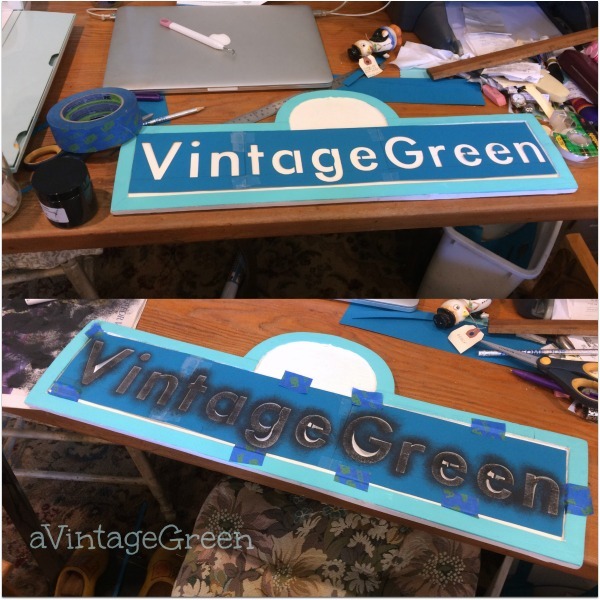 Taped in place, used a VERY dry brush and stenciled 'VintageGreen'. Hand painted the 'slice spaces'. Used a fine lining brush to dab lightly/fill in, then stenciled two butterflies. 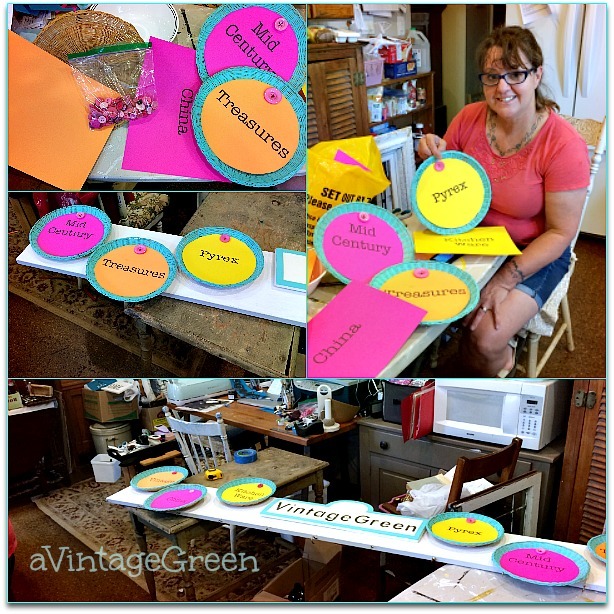 Part 2 - painting the 82" board, making round signs and attaching. 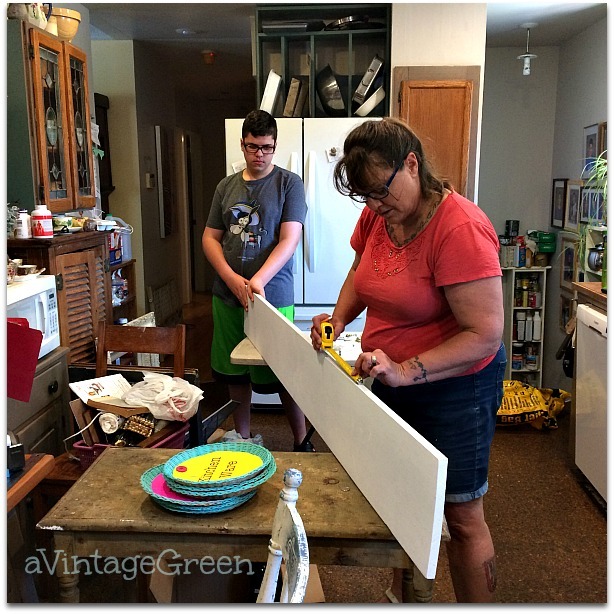 The long board was already primed so one coat of ASCP White was all it needed. 8 inches cut off to get the 82" length, ends were sanded before painting the board outside on the deck. Temperatures rose and we moved inside to carry on with the work. Always good to get some extra help. Reality shots - kitchen as the workshop. 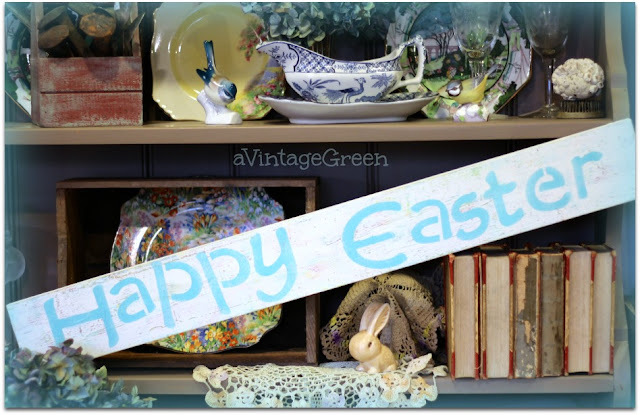 Judy painted the edges of the basket plate holders and the VintageGreen blank sign edge with CeCe Caldwell Santa Fe Turquoise. I printed the words (font size 110) and Judy used a bowl for the circle sizes. She attached the words with a large pink button (sewed on through the sign and basket plate holder). Planned the placement of the round signs before attaching. Took one photo in the living room before loading the sign into the van (along with step ladder, drill/bits/screws). 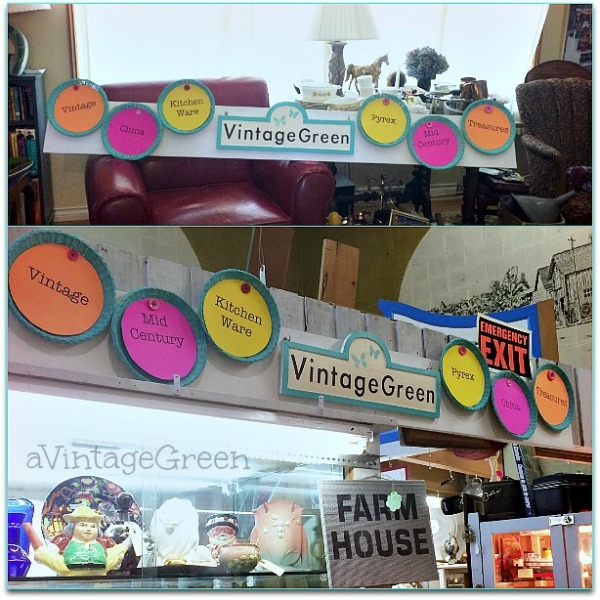 The board was attached with 3" screws (6) by DH, the Vintage Green sign is 'loose', hanging from cup hooks and the round paper plate holders are attached to the board with thumb tacks so making changes to match the season should be fairly simple. That came out great! Very cheerful and eye catching. I don't know how to use a Cricut at all. The whole idea intimidates me. Love what it can do though. Such a great addition to your booth! Thanks for sharing your tutorial at Vintage Charm, Joy! Joy, I think this is fabulous. I like the idea you can change it with the seasons. Great job! Sounds like this would have taken much less than 3 hours without all those technical issues! But then that is often the way! You have a fun eye catching sign now which is the main thing, very professional looking. Your sign looks so smart and professional! Hello, your new sign looks very professinal. It will look great at your booth! You are very creative. Have a happy day! Cute! Thanks for sharing with Friday Frenzy! Each time I see a great project like this I vow to use my Cricut more often. Awesome job! Thank you for sharing with us this week at Celebrate Your Story, and I hope your week is going great. Your sign turned out great Joy! Thanks for sharing with SYC. Joy, I love the new booth sign! It is very creative and will totally make your booth stand out. I think think sign is fantastic, what a colourful and descriptive sign. Its perfect for the setting, descriptive and eye catching. So well done, congrats Joy. 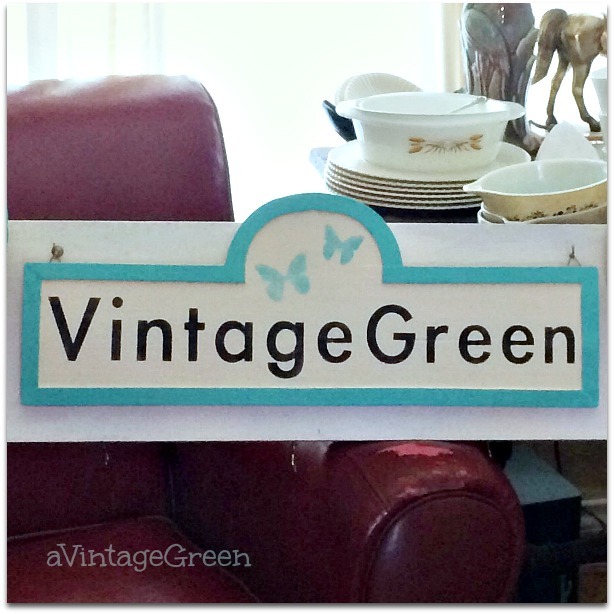 The sign turned out great, I hope it brings many more shoppers to your booth. Thank you for linking up to Party in Your PJ's! That is such a beautiful sign and I am so surprised that you didn't have one already. You of the amazing talents with the brush and wood work. It looks super cute with the plates too Joy. Thank you for your tutorial, it's so great. I will try to make it to decorate my room.